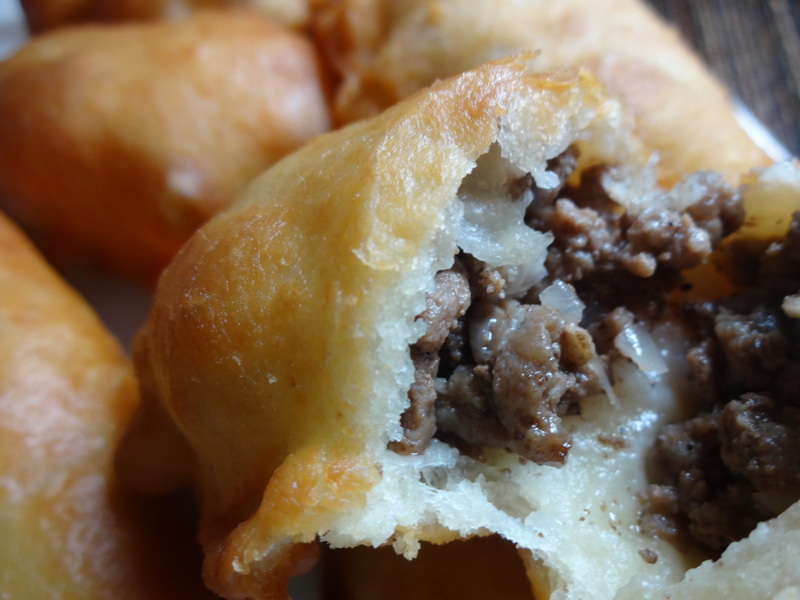 Sambousik is a fried pastry filled with cooked, ground beef and onions, and flavored with nutty spices. Crusty on the outside, juicy and soft on the inside, it’s another of our favorites. 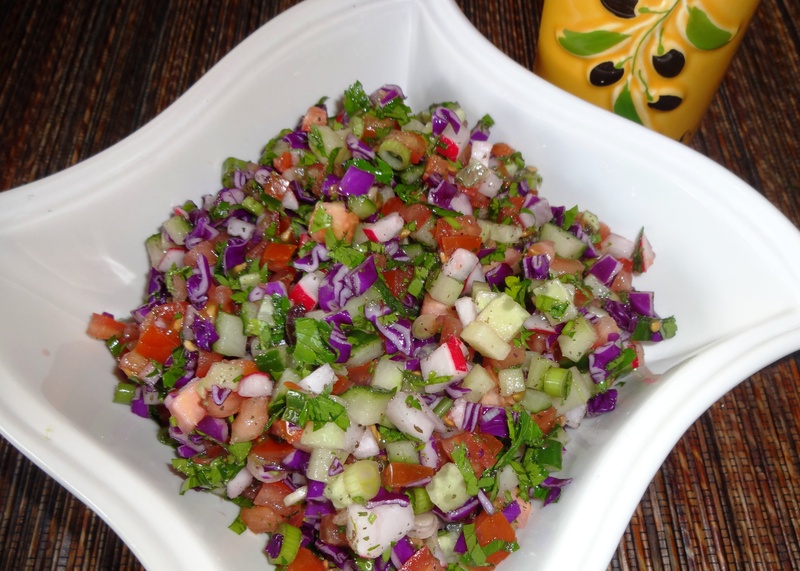 Salata Arabia is a finely chopped salad dressed with a zesty home made dressing. 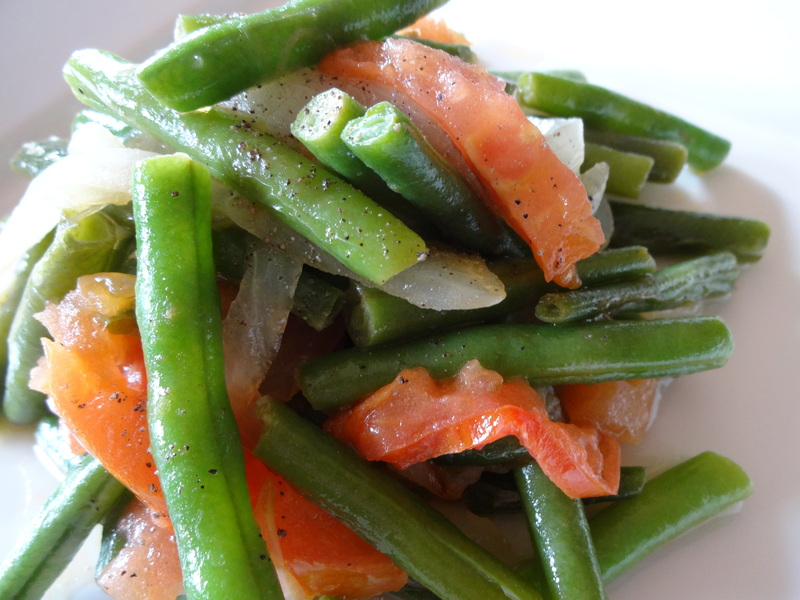 It’s a tasty well known salad in Palestine with a great variety of ingredients, and it goes with any main meal, and is always a healthy side dish. While the tomatoes and cucumbers are the staples of this salad, you can be creative with your choice of other ingredients; they key is the dressing and chopping. 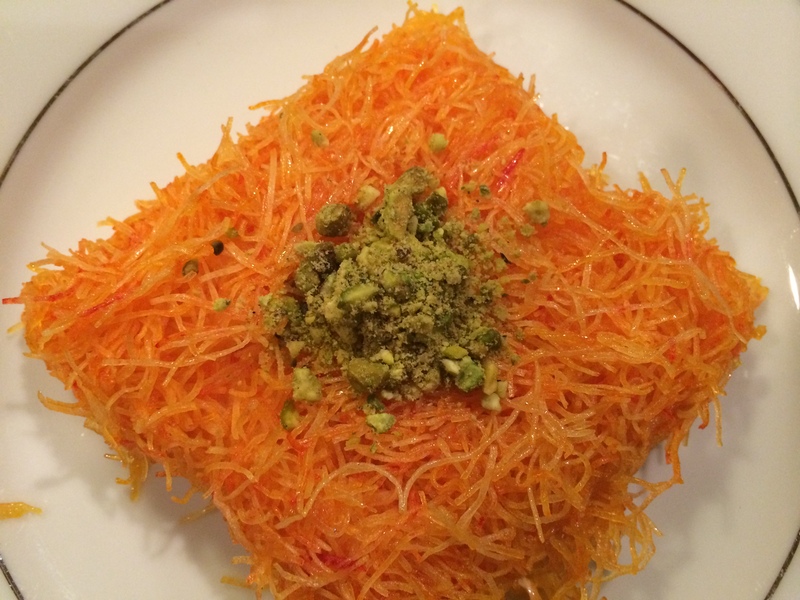 Knafeh is a dessert made from shredded pastry dough, filled with sweet cheese, and topped with pistachios and qatr. Nablus is renowned for its knafeh, and the best knafeh is called knafeh Nabulsieh. You find knafeh all over Palestine, and when you receive an invitation to someone’s home for knafeh, you know it is a celebration! We carry on this tradition here and have knafeh to celebrate life events and accomplishments. 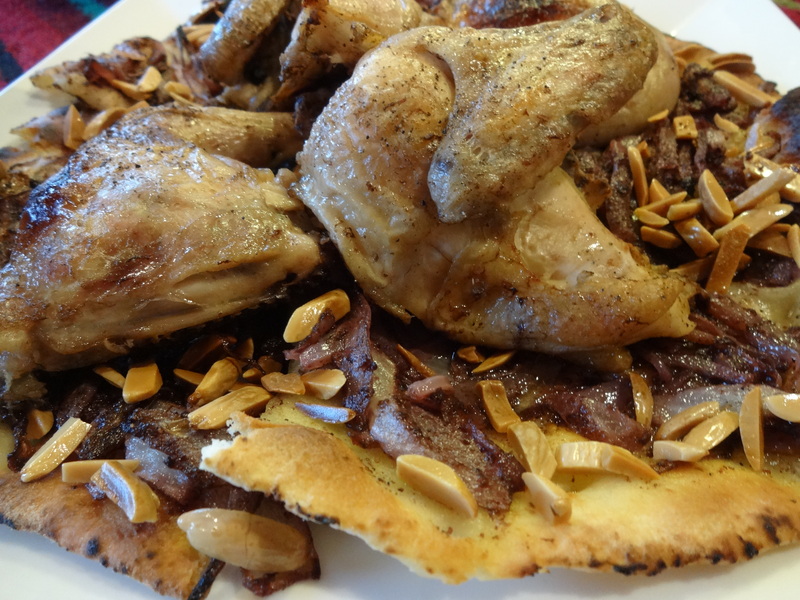 Musakhan is a traditional Palestinian dish made in villages in outdoor ovens. It’s a large, toasty bread, smothered with onions and sumac and topped with chicken. 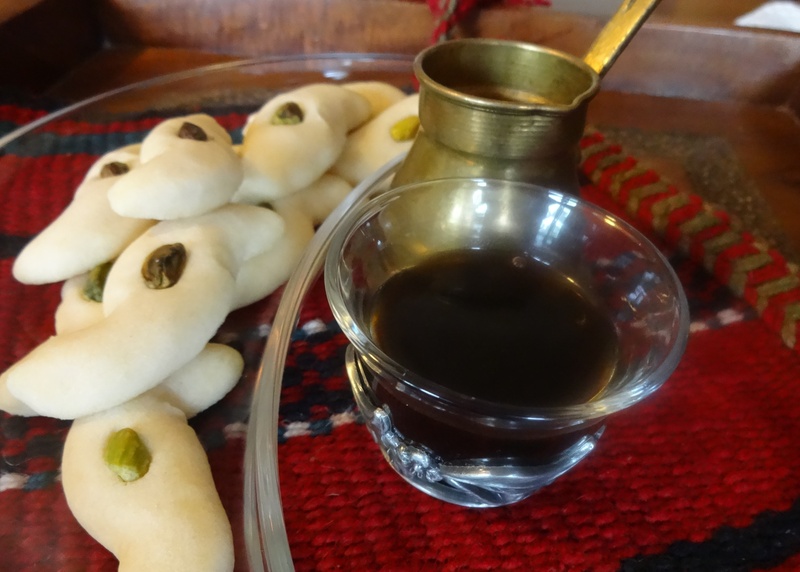 It’s still a popular dish in every household throughout Palestine. Here in Seattle, replicating this dish is tricky because we don’t have the outdoor ovens to make the fresh taboon (bread). BUT, we do have access to naan, which is similar, and even more recently taboon can be found at some Arabic stores. If you are out looking for the bread, it is also called tanour. Balooza is a mouth watering dessert. In Palestine there are street vendors who sell it during spring and summer, and families flock to enjoy this sweet treat in the evenings. 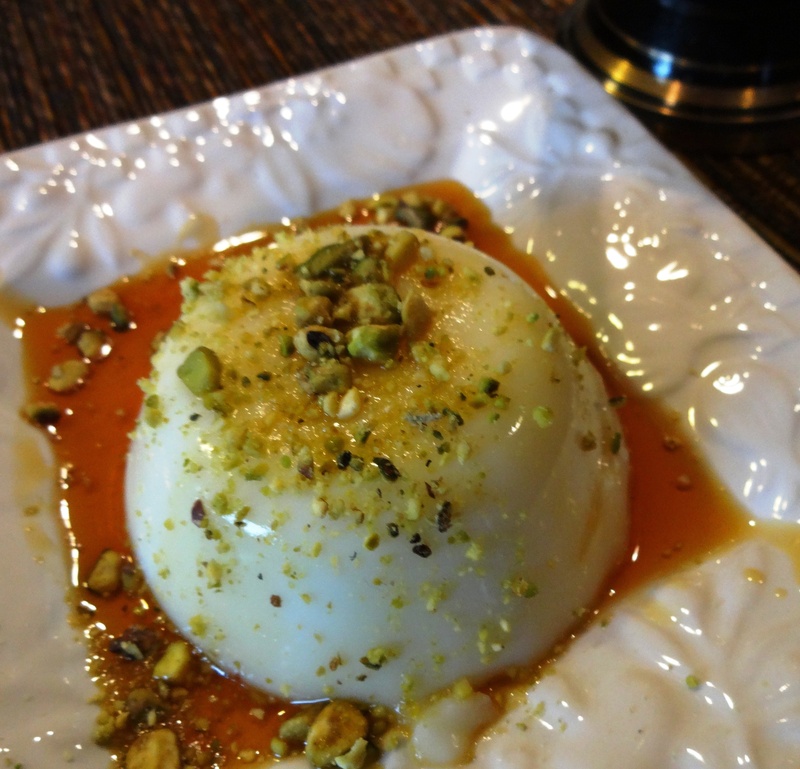 It’s a light and healthy dessert, made from milk infused with orange blossom water and topped with honey or home made syrup and garnished with pistachios or any favorite nuts.